I'm Barbara Klein. 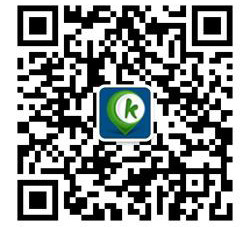 And I'm Steve Ember with PEOPLE IN AMERICA in VOA Special English. Today we remember the singer and actress Lena Horne. She helped break racial barriers by changing the way black women were represented in film. During her sixty-year career performing, Lena Horne electrified audiences with her beauty and rich, emotional voice. She used her fame to fight social injustices toward African-Americans. That was Lena Horne singing her most famous song, "Stormy Weather." She sang this song in a nineteen forty-three musical movie of the same name. In the nineteen forties, Lena Horne was the first African-American in Hollywood to sign a long-term contract with a major movie studio. Her deal with MGM stated that she would never play the role of a servant. During this period, African-American actors were mostly limited to playing servants or African natives. Lena Horne refused to play roles that represented African-Americans disrespectfully. But this refusal also limited her movie career. Horne was generally only offered the role of a nightclub singer. Her characters did not interact with white characters in these movies. This way, her part could be cut from the version of the movie that played in the American South. During this time, racial separation laws were in effect in the South. Lena Horne later wrote that the movie producers did not make her into a servant, but they did not make her into anything else either. She said she became a butterfly pinned down and singing away in Movieland. 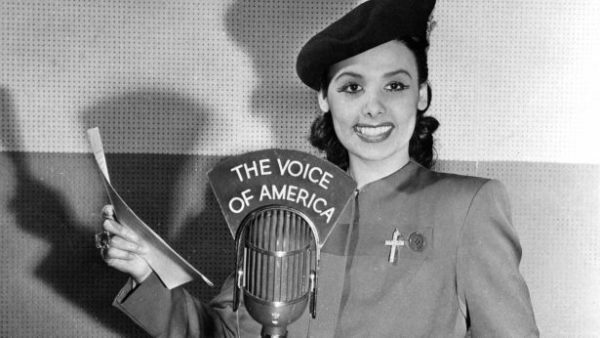 Lena Horne once said that World War Two helped make her a star. She was popular with both black and white servicemen. She sang on army radio programs and traveled to perform for the troops. During one event, she noted that German prisoners of war were permitted to sit closer to the stage than black soldiers. She criticized the way black soldiers were treated by the army. These experiences led to Lena Horne's work in the civil rights movement. "When I went to the South and met the kind of people who were fighting in such an unglamorous fashion, I mean, fighting to just get someplace to sit and get a sandwich. I felt close to that kind of thing because I had denied it and had been left away from it so long. And I began to feel such pain again." Lena Mary Calhoun Horne was born in Brooklyn, New York in nineteen seventeen. Her mother, an actress, was away for much of Lena's childhood. Lena's grandmother helped raise her. Her grandmother was a social worker and women's rights activist. At the age of sixteen, Lena found work as a dancer at the famous Cotton Club in New York City. After taking voice lessons, she soon began performing there as a singer. At the age of nineteen, Lena Horne moved to Pittsburgh, Pennsylvania and married Louis Jones. Her marriage did not last long. But she had two children, Gail and Edwin. In nineteen forty, Lena Horne became the first African-American to travel and perform with an all-white jazz band. She also made records and performed at New York City's Café Society jazz club. This was the first nightclub in the United States without racial separation. Many jazz clubs during this period had black performers. But few allowed black people to watch the shows in the audience. Lena Horne became very popular. After performing at a club in Hollywood, California, she caught the attention of filmmakers. She soon began making movies. Lena Horne said that she was able to make movies because she was the kind of black person that white people could accept. But she said this was the worst kind of acceptance. It was for the way she looked, not for how good she was or how hard she worked. In nineteen forty-seven, Lena Horne married Lennie Hayton. He was a music writer for the MGM movie studio and was white. The couple married secretly in Paris, France. They did so because it was illegal at the time for people of different races to marry in the United States. They did not announce their marriage for three years. Lena Horne later said that she first became involved with Lennie Hayton because she thought he could be useful to her career. He could help get her into places that a black manager could not. But she says she began to love him because he was a nice man. Lena Horne's movie career slowed down in the nineteen fifties. But she continued recording and performing live and on television. Her nineteen fifty-seven album, "Lena Horne at the Waldorf Astoria," became a best-seller. She also became increasingly involved in civil rights activities. She protested racial separation at the hotels where she performed. She took action so that she and her musicians would be permitted to stay in those hotels. Black musicians at the time generally stayed in black neighborhoods. Lena Horne also sang at civil rights gatherings. She took part in the March on Washington protest in nineteen sixty-three. It was during this event that Martin Luther King Junior gave his "I Have a Dream" speech. Lena Horne performed in a strong and expressive way. One expert said she was not warm and friendly like white, male singers at the time. Instead, she was a fierce, black woman. Lena Horne once said she felt a need to act distant on stage to protect herself. She said when white audiences saw her, they were busy seeing their own idea of a black woman. She chose to show them a woman whom they could not reach. She said: "They get the singer, but they are not going to get the woman." Lena Horne continued making records throughout the nineteen sixties, seventies and eighties. In nineteen eighty-one she returned to Broadway in New York with the show "Lena Horne: The Lady and Her Music." The show ran for over a year, before traveling around the United States and Europe. It earned her a Tony Award and two Grammy Awards. Lena Horne died in two thousand ten at the age of ninety-two. At the age of eighty, she said this about her career: "My identity is very clear to me now. I am a black woman. I'm free." She said she no longer had to be a "first" to anybody. She said she did not have to act like a white woman that Hollywood hoped she would become. She said: "I'm me, and I'm like nobody else."